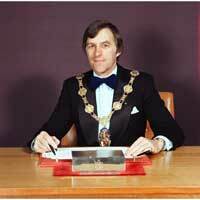 Mike Preston served as a Conservative councillor for Newbold Verdon ward for 10 years from 1977 to 1987 and was Mayor of Hinckley & Bosworth between 1979 and 1980. Mr Preston also served on the former Market Bosworth Rural District Council before the Borough Council was formed in 1974 and was a member of Newbold Verdon Parish Council for many years, serving as Chairman for more than 15 years. Funeral service to take place at St. James' Church, Newbold Verdon on Tuesday 4 December 2018 at 12 noon. Family flowers only please. Donations are being raised in memory of Mike, payable to St. James' PCC c/o G. Seller Independent Funeral Directors, 70 Main Street, Newbold Verdon, LE9 9NP. Tel: 01455 822222.